Get Your Money’s Worth With Longer Lasting Candles… Follow These 10 Little-Known Tips For Truly Long Burning Candles! I mostly buy soy candles these days. Since candles are one of the most versatile and well-accepted gifts on the planet, I’m constantly giving candles as gifts as well. Through the years, I’ve discovered some secrets for achieving long lasting candles — simple things you can do to make your candles burn longer and cleaner. For each of the following candle tips, I’ve included a helpful takeaway from a fellow candle fanatic who explains how and why each tip is true. #1 – If you want to decrease the amount of smoke when putting out a candle (either a soy candle or paraffin wax candle, it doesn’t matter), you should use a wick dipper. This is very different from a candle snuffer. #2 – You should trim the wick of a candle every time before you light it — so that the wick is between 1/8th to 1/4th of an inch tall. You can use a wick trimmer, nail clippers, or just regular scissors. Whatever you choose should be used only on candles though — otherwise you’ll see black soot marks on other things you cut. 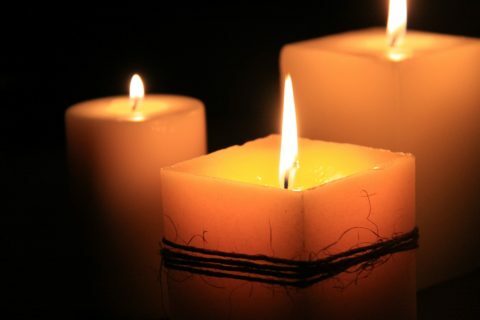 #3 – To prolong the life of your candles, keep in mind that each candle should not be burned more than 4 hours at a time. Then allow the candle to cool for at least 2 hours before relighting. 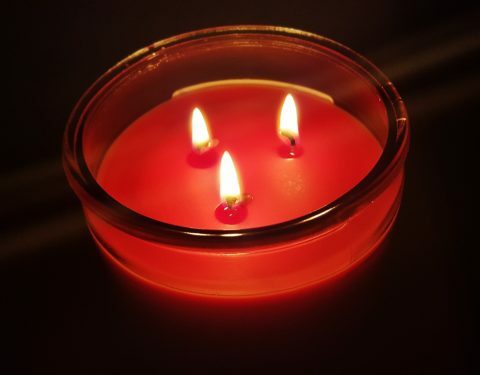 #4 – To get the longest burn time from your candles, the first time you light a candle it should be allowed to melt long enough to fill the entire center with liquid. As the liquid around the wick melts, the candle pool will expand to the outside rim of the candle (or the sides of the candle container). 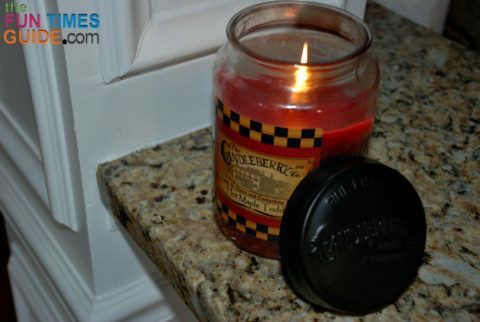 #5 – A flickering candle is a sign that it is not burning properly. A candle topper eliminates the flicker. #6 – The flame of a candle should be 1 inch in height. Paraffin wax (made from petroleum oil or mineral oil) is the most common, a bit lighter than other waxes, produces the most soot, burns down the fastest, and is the cheapest. Vegetable wax (made from soybean oil or palm oil) produces less soot than paraffin wax, burns longer than paraffin wax, and is a bit more expensive. Beeswax (made by bees through the consumption of honey produced from flower nectar that they’ve collected) is all natural, yellow in color, has a light scent, produces the least amount of soot, burns the longest (about twice as long as paraffin wax), and is significantly more expensive. #8 – Round candles last the longest because the wick is evenly spaced from all edges of the candle — so you will get a more even burn each time. #9 – My favorite tip for achieving long lasting candles is to insert a smaller candle inside of a larger candle — once there is enough room! That way, you can maintain the look of the candle you originally bought by just replacing the smaller votive or tealight candle inside each time it burns out. #10 – Double-wick candles and triple-wick candles are generally long lasting candles. As long as the wicks are evenly spaced and not too close to the edge of the container, then a double wick candle will burn more completely than a single wick candle — because all of the wax melts evenly. In fact, dual (and triple) wick candles burn the candle so efficiently that there is very little wax left on the sides of the jar, and little to no tunneling — which happens when the flame drops below the top level of wax, leaving a dry ring that just won’t melt. Less waste when your candle is burning means longer lasting candles and more candle for your money! Candle Science summarizes the overall characteristics of an ideal candle. The flame is approximately 1″ tall, not flickering excessively. Wax melts from edge to edge across the top of the container. The melt pool is 1/4″ to 3/4″ deep. Wax burns cleanly at the flame without smoke or soot. After the candle has burned from top to bottom, wax is completely consumed leaving the sides clean.